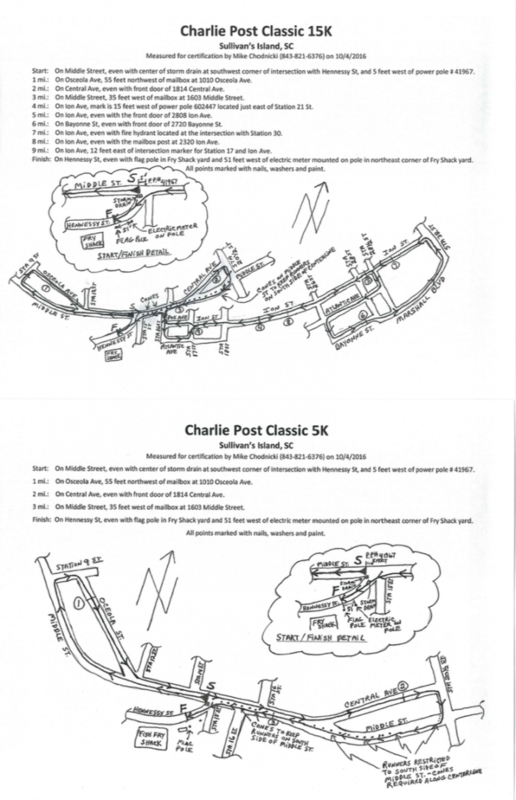 The Charlie Post Classic 15K and 5k is the signature running event of the Charleston Running Club. Now in its 34th year, this race honors the memory of Dr. Charlie Post, a well-known Charleston runner, triathlete and family physician who volunteered his time and medical talents to the running community. Dr. Post had been a very active member of the Charleston Running Club, served as the head of the College of Charleston’s student health services, and also was the school’s team physician for varsity sports.